Cloud computing and big data represent areas of future growth within federal agencies' budgets, according to a new market analysis and report from Deltek. Federal cloud computing investments are poised to grow from $3.1 billion in 2016 to $6.4 billion in 2021. During the same time frame, agency spending on big data products and services will increase from $2.0 billion to $3.6 billion. Accelerating the FedRAMP cloud authorization process and the hiring of Chief Data Officers and contractor consultants to guide big data strategies will help spur increased cloud and big data adoption. 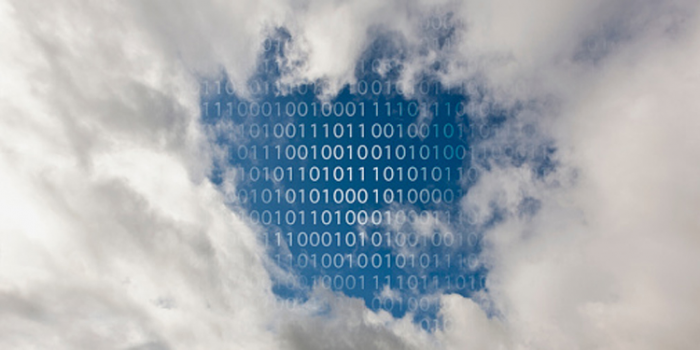 "The push for agencies to modernize their IT environments will ramp up pressure on agencies to adopt cloud computing. But with increasing concerns about security, the importance of FedRAMP compliance is only going to increase as the pace of cloud adoption increases," said Alex Rossino, Senior Principal Research Analyst at Deltek. Furthermore, the analysis examines priorities in federal mobility and data center optimization, which are also evolving. Agencies spent $1.4 billion on mobile devices and services in 2015, a number that the Office of Management and Budget aims to reduce through its Mobile Category Management policy directing contract consolidation and asset inventory. Agencies are also under fire to close thousands of data centers and refocus investments on optimization via cloud computing, shared services and automation. One of the most critical catalysts for these priority areas will be the pace of IT infrastructure modernization, and a key development is the recently proposed Modernizing Government Technology (MGT) Act. If passed, this Act would allow agencies to use their existing working capital funds and tap into a new established centralized fund to replace aging infrastructure, transition to the cloud and address cybersecurity vulnerabilities. While significant spending on key IT initiatives is expected, there are competing pressures that could temper faster advancements in cloud, big data, mobility and data center optimization. Uncertainty around the administration transition, looming sequestration, implementation complexity and risk, and contracting issues remain obstacles that agencies continue to navigate. Private Clouds Dominate – Both civilian and defense agencies continue to favor private clouds, with $1 billion in contract spending over the past three years. Cloud engineering services remain in high demand across the entire market to facilitate private cloud implementation. Big Data Strategies Required – Agency hiring of Chief Data Officers has slowed, potentially hindering the establishment of enterprise strategies. While strategies are under development, agencies continue to invest significantly in analysis support services and analytics software. Mobility Security – Security remains the primary barrier for broader mobility adoption. Agencies continue to work on identity and access management, data-level security and other security requirements to reduce the barriers to innovation. Data Center Optimization Initiative (DCOI) Opportunities – The new DCOI launched by the Office of Management and Budget in August 2016 is expected to give new life to lagging data center efforts. Contractors should look for opportunities to help agencies meet targets for facility utilization, virtualization, PUE, server utilization, infrastructure automation and energy metering. "Over the last few years, data center consolidation efforts have lost momentum to other IT priorities such as cybersecurity and mobility. The DCOI will help renew focus," said Angie Petty, Senior Principal Research Analyst at Deltek. Overall, the need for a more secure IT footprint, greater efficiency and effectiveness, lower costs and improved citizen services will continue to fuel investments in these areas. Savings in operational costs, efficiency and demonstrated security benefits are expected to help support long-term investment.